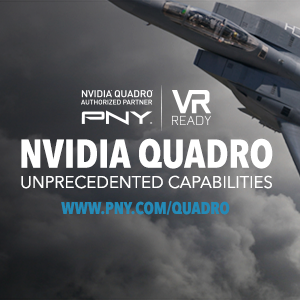 Whether it’s for Deep Learning (AI), High Performance Computing (HPC), Virtual Reality (VR) or Augmented Reality (AR), Scientific Visualization, Signal Processing, CAD or complex CAE simulations, or mission simulators, NVIDIA Quadro professional graphics products, including MXM Embedded and GPU Down solutions, feature the long product lifecycles and availability required by government and defense programs, along with 24/7/365 build quality and unmatched technical support for mission-critical deployments. "The General-Purpose Graphics Processing Unit (GPGPU) handles complex high-performance computing workloads by breaking processing tasks down to many different operations that run in parallel. It differs significantly from general-purpose processors like the Intel Xeon or Core i7 in that the Intel architectures use fewer, but more powerful cores. GPGPU computing is well suited to applications that lend themselves to parallel processing, and can offer substantial system savings in size, weight, power consumption, and cost (SWaP-C) compared to general-purpose processors. NVIDIA CUDA allows programmers familiar with C and C++, Fortran, Python, and other programming languages to access GPGPU performance and capabilities by using existing coding expertise through the CUDA API. CUDA is the most widely used, well known, and capable GPGPU development tool available today, and is widely taught at universities across the globe. CUDA provides an accessible on-ramp for organizations who want to take advantage of the superior performance per Watt advantage GPUs offer, without having to spend large amounts of money and time retraining existing software engineers."